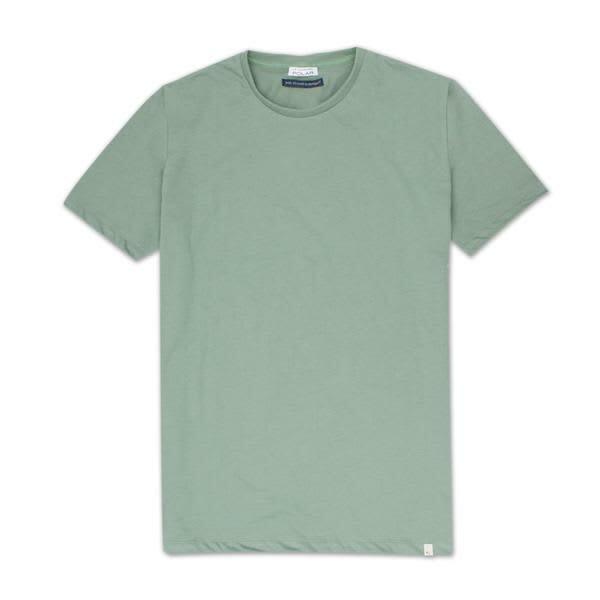 Basic green t-shirt is a straight cut garment that fits slightly to the body. The neck is neither open nor excessively closed, it is an exact neck. La Compañia Polar in Madrid, Spain.